The US military is preparing to pull all American forces out of Syria by the end of April, current and former US officials said Thursday. According to the Wall Street Journal, which cited the unnamed officials, the US will pull a significant portion of the 2,000 troops currently serving in the war-torn country out by mid-March, and continue its evacuation of the country over the following month. The Pentagon declined to comment to the newspaper on the plans. US President Donald Trump abruptly tweeted plans for a US pullout from Syria in December, arguing that the Islamic State group had been defeated even though his intelligence chiefs have said it remains a threat. The move was welcomed by Russian President Vladimir Putin, but met with concern from Israel. The US leader had long questioned America’s multiple and seemingly interminable wars, but his withdrawal order came as a shock to Washington, upending years of doctrine in Syria. Trump made his decision after a phone call with Turkish President Recep Tayyip Erdogan, who had said Istanbul would lead the fight against IS remnants in Syria. IS jihadists have lost territory since Trump’s surprise announcement, but military officials warn the fighters could regroup within six months to a year after the Americans leave. The extremists have a long history of exploiting security vacuums, and may find another one in the coming months as US troops leave Syria. Israeli officials have expressed worries that the pullout could give Iran greater leeway to entrench itself militarily in Syria. 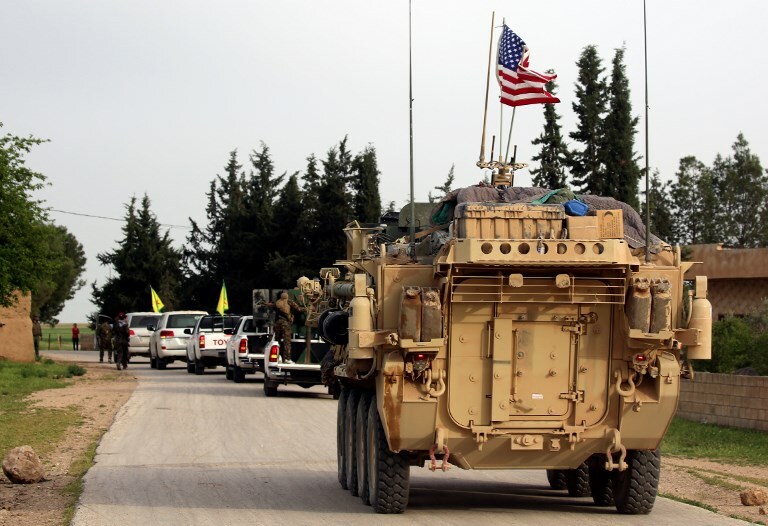 Recent reports have indicated the US is considering leaving some troops in place at the al-Tanf base in southern Syria, which is seen as a key bulwark against Iran. 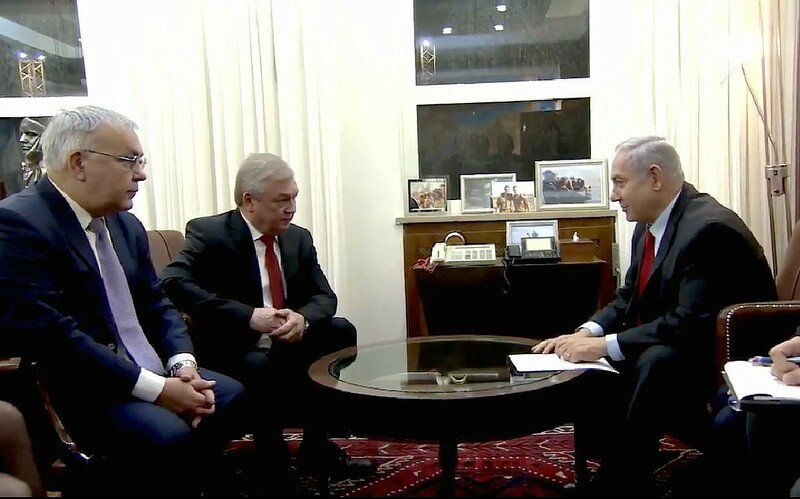 Prime Minister Benjamin Netanyahu holds talks on Iran and Syria with Russian President Vladimir Putin’s special envoy for Syrian affairs, Alexander Lavrentiev and Russian Deputy Foreign Minister Sergey Vershinin in Jerusalem, January 29, 2019. Russian Deputy Foreign Minister Sergey Vershinin on Friday called on Israel to limit strikes on Syrian territory, saying that each strike raised the prospect of further conflict in the region. However, Vershinin added that military coordination between Russia and Israel was working in the wake of last year’s incident, where Syria shot down a Russian aircraft during an Israeli raid. Russia blamed Israel, which rejected the charge. 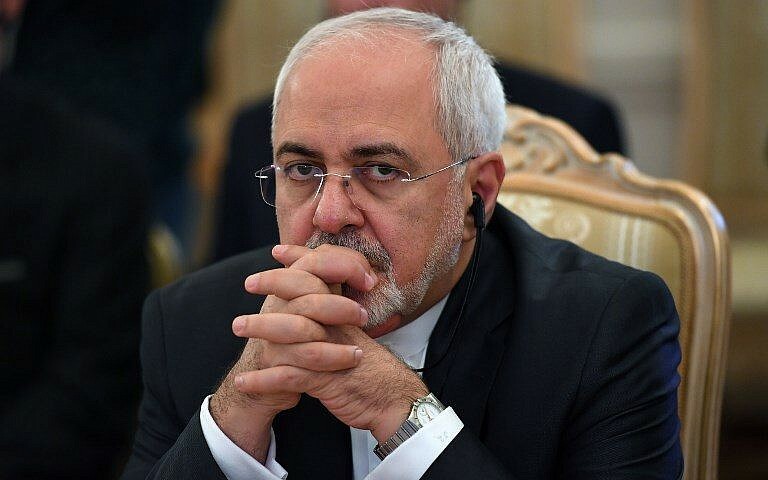 On Wednesday, Iranian Foreign Minister Mohammad Javad Zarif said that a trilateral summit later this month between representatives of the Islamic Republic, Russia, and Turkey will touch on Israel’s airstrikes in Syria. Zarif told Russia’s RT news network that nations at the February 14 Sochi Summit will also review the planned withdrawal of US forces from Syria. His comments regarding a response to the airstrikes followed a series of reciprocal taunts by Israeli and Iranian leaders amid rising tensions on the Israeli-Syrian border between Israeli and Iranian forces. On Tuesday, Prime Minister Benjamin Netanyahu announced that he will travel to Moscow for a meeting with Russian President Vladimir Putin, their first formal meeting since Russia blamed Israel for the downing of a military aircraft by Syrian anti-aircraft fire over Syria. Netanyahu said he will fly to Russia on February 21 for talks focused on Iranian efforts to establish a military presence in Syria. 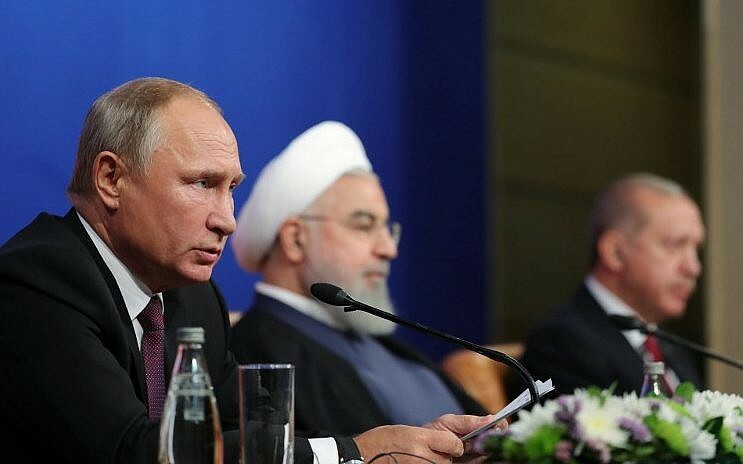 His office said the Israeli and Russian leaders would also discuss regional issues and improving security coordination between the countries’ militaries in Syria. There was no immediate confirmation from the Kremlin. Their meeting will also be their first since US President Donald Trump announced in December he would pull out all American soldiers from Syria in a move welcomed by Putin, but which has been met with concern in Israel. 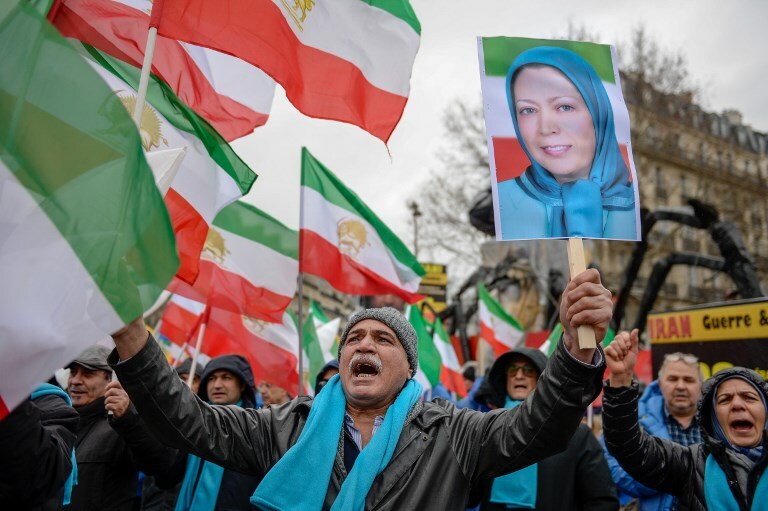 PARIS — Several thousand supporters of an exiled Iranian opposition group marched through Paris on Friday, calling for an end to Iran’s clerical regime 40 years after the Islamic Revolution toppled Iran’s monarchy. The People’s Mujahedeen (MEK) were joined at the rally by an array of speakers before the march, from former and current French politicians to a one-time Algerian prime minister and a Syrian opposition figure. Crowds waved posters of group leader Maryam Rajavi and founder Massoud Rajavi — not seen since 2003 in Iraq, where the MEK once had a camp and waged war against Iran before being disarmed by invading US troops. The group bases its headquarters outside Paris with several thousand members in Albania, extracted in a UN-brokered effort from Iraq. Supporters are scattered elsewhere in the West as part of the Iranian diaspora. Security was tight during the rally and march through Paris’ Left Bank. 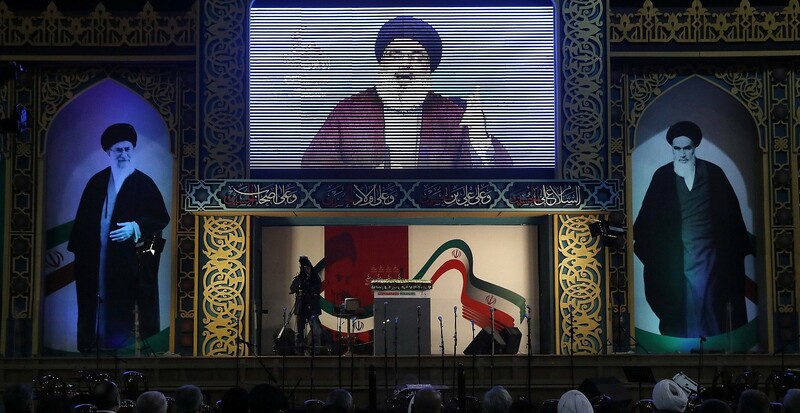 The group’s annual rally last year was the target of an alleged Iranian government bomb plot, which was thwarted by arrests. Belgium announced last July that it had arrested a couple of Iranian origin in a Brussels suburb who were suspected of preparing to drive a car packed with explosives to the French rally. But a total of six people, including an Iranian diplomat based in Vienna, were later detained in coordinated raids by European police. Israel’s Hadashot news reported at the time that intelligence provided by the Mossad spy agency led to the arrests of the Iranian suspects. French authorities accused Iran’s intelligence ministry of orchestrating the bombing, but Tehran firmly denied any involvement, and claimed the MEK orchestrated the plot to discredit Tehran as it sought to salvage the nuclear deal with European signatories. “As long as we’re dealing with the main state sponsor of terrorism, there is a concern … But that will never stop us,” MEK spokesman Shahin Gobadi said. The MEK hones to US President Donald Trump’s hard line on Iran, and supports US sanctions on Iran. One of the speakers at Friday’s rally, former French senator Jean-Pierre Michel, said in an interview that “I’m not a fanatic of Mr. Trump … but I think the United States is right about Iran.” He chastised Europeans for what he views as their softer approach to Tehran. 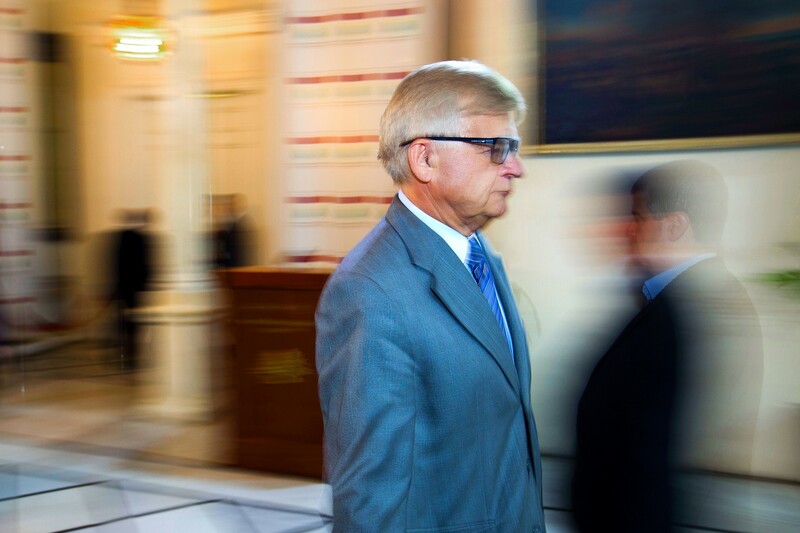 Michel, 80, is a long-time supporter of the MEK, which has drawn around it numerous US and European parliamentarians and former officials who disagree with critics’ portrayal of the organization as cult-like. “Will the Lebanese government dare to accept the Iranian proposals? Why should Lebanon remain afraid to cooperate with Iran?” Nasrallah said in a televised address marking the 40th anniversary of the Iranian revolution and the overthrow of the Shah. The Shiite group was formed in 1982 under the guidance of Iran’s Revolutionary Guard to combat Israel. It has been Iran’s most successful investment abroad, serving as the Islamic Republic’s arm at Israel’s doorstep. At home, the group remains the unrivalled armed force, also making significant political gains along with allies in the last parliamentary elections. This positioned the group to secure three ministerial posts in the new government, sworn in last week, including the powerful Health Ministry, which has one of the country’s largest budgets. “If America launches war on Iran, it will not be alone in the confrontation, because the fate of our region is tied to the Islamic Republic,” he said. “We see the struggle in the region may escalate and may take different forms but in all cases, today the Islamic Republic is the strongest state in the region … and America is headed for more withdrawals and retreats from the region,” he said.